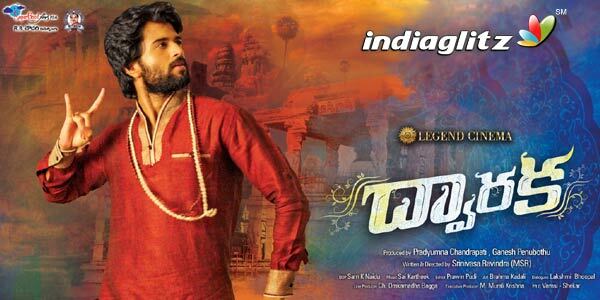 'Dwaraka', starring Vijay Devarakonda in the lead role, hits the screens today. 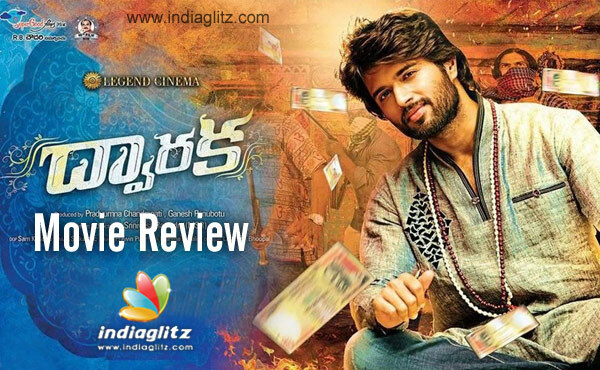 Here is our review of the movie..
Erra Seenu (Vijay Devarakonda) is a petty thief who plans to strike rich by stealing a temple idol worth Rs. 2 Cr. He however is caught and in the process of escaping from the wrath of the temple inmates, ends up in a housing complex. A believer looking for signs from God mistakes him for God Himself. Gurumurthy (Prudhvi), a respected saintly man, christens him as Krishnananda Swamy. Erra Seenu settles for the money-spinning business, faking his divine powers he doesn't possess. 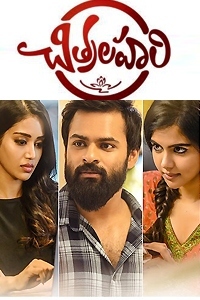 A criminal lawyer (played by 'Kalakeya' Prabhakar), a cop and a politician set their sights on the sudden riches of the ashram run under the aegis of Krishnananda Swamy. The fake baba, overtaken by his love for Vasudha (Pooja Jhaveri), delivers a shock by publicly confessing that he is not God but a fraud. But can he get out of the trap now that criminal elements want to make money by using him as a pawn? How does he get out of the trap and win the love of Vasudha, who is disgusted by his fakery? What is the role of a rationalist (played by Murali Sharma) in all this? How does he redeem himself in the end? That forms the crux of the film. The director has a fairly substantial story line, although the villains of the piece are the usual suspects. 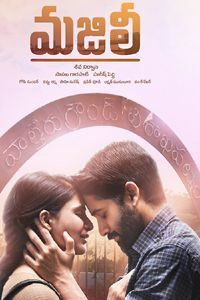 'Dwaraka', thankfully, is not so much about how the gullible fall for the tricks of fraud gurus, but about the self-redemption of a petty thief who goes on to become an immortal in the eyes of the people. The characters, who have been inspired by worldly characters, are diverse. Not just the politician-cop-lawyer nexus, but also a rationalist's fight and a humanitarian CM (Prakash Raj in an extended cameo) complete the spectrum. Despite these apparent strengths going for it, 'Dwaraka' falls short of delivering the goods. And the problem mainly lies with the treatment. Erra Seenu's characterization is immature. In the entire first half, there is no thoroughgoing glimpse into his mindset. Come on, you are showing a petty thief who is earning crores of rupees in 'guru dakshina'. And he is not even shown talking to others or to himself, either in awe or wonderment! Such a sketchy characterization?! On and on, he wants to run away from the set-up. He has to outwit the bad guys, but doesn't go the whole hog even though millions of people are with him! How do you show criminal 'disciples' behaving when they are publicly talking to someone whom people believe is a God-incarnate? They fold hands in reverence if only to fool the public, but every time Prabhakar is talking to the hero, he is seen keeping those disdainful/villainous expressions as if he is talking to a fellow gangster. In one scene, with dozens of mics on! Yes, you read it right. Almost every bad guy is making plans in the midst of other devotees, as if it's the only available place in the world to hatch plans against Krishnananda Swamy! All that it takes is commonsense to erect a credible ashram-like set, not budget. The whole set smacks of dullness, not purity. One character tellingly mistakes the baba's abode for a political office. Such a Freudian slip, we tell you. Vijay should never do things that mainstream actors are known for. He is out of place, like a Rana, when he is dancing for those numbers. Also, his voice shouldn't shake too much just because it's a sentimental scene. Enough said. Prudhvi is almost the second hero (ideally, it should have been Prabhakar and/or Murali Sharma). As the fake baba's promoter, his language is engaging. 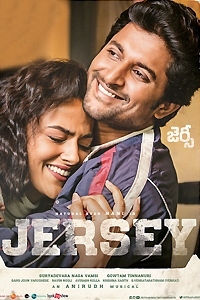 Pooja Jhaveri is OK. Murali Sharma and Prakash Raj do a fine job. Shakalaka Shankar and the hero's two sidekicks are good. Shyam K Naidu's cinematography is neutered by the low-brow backdrop. Sai Karthik's music and BGM are forgettable. 'Dwaraka' has a fine range of characters and a substantial story line. The last 45 minutes make for a good watch. Otherwise, the screenplay is riddled with flaws.